Originally launched in 1998, RTG remains one of the dominant software providers, having successfully penetrated the online market, and continually strengthened its position over time. The company has developed many exciting games with a really high entertaining value. These games can satisfy the desires of pretty much every gambler! Some of their games are rightly considered to be among the best in the industry, and this is how this company earned its well-deserved laurels and worldwide recognition. Let’s start by saying that the company is more focused on slots than on table games. Their decision-making about the development and business goal-setting for table games segment was, apparently, just to “establish a foothold” and to “maintain their presence.” Indeed, compared to Playtech and Microgaming, RTG’s range of table games is not even that extensive. However, as far as the overall roster length is concerned, size doesn’t always matter! The quality and popularity of their table games are very high, especially with such games as RealTime Gaming Blackjack, Red Dog, Roulette, Baccarat, online Craps, and Caribbean Stud Poker, to name but a few. There are also numerous well-crafted variations which are beloved of many players. When the assortment on offer is somewhat limited, your unique features, functions and attractive design really do begin to matter quite a lot! That is what RTG’s management obviously understands, as a basic point of departure. Table games are nowadays considered as standard commodities in this industry; but RealTime Gaming developers have turned some of the games into real specialties, adding their unique twist and some easily recognizable features that audiences really do appreciate. So here, we’re going to talk about the branded version of such standard table games as tri-card poker, War, Rummy, Craps, and Red Dog. This ‘specialty’ approach helps RTG to hold a good position with such games as Keno, Bingo and Scratch cards, and eighteen different variants of Video Poker – almost all of which are considered as casino favorites worldwide. The casino poker line includes Caribbean Stud, Tri-Card Poker, Pai Gow, and Hold’em. Their Let ‘Em Ride implies side bets, as well as the option to change bets when a separate hand is still being played. Their Deuces Wild, Bonus Poker and Joker Poker took the lead, with a bit different new game called Pick’em Poker still gaining ground. This specialty-oriented approach works well. With its rational, innovative and well-balanced approach to development, introduction, and commercialization, RTG is well known for having developed some of the best games in the industry. Their blackjack is by far the fastest version you can play online: in fact, 7 hands a minute is a good result! RealTime Gaming blackjack suite consists of about 10 titles, which are professional and solid, nice-looking and easy to play; and they all include the expected standard rules, along with some very entertaining and popular variations! The choice of RTG roulette options compared to the menus provided by big guys like Microgaming is relatively narrow. RTG software offers to choose between American and European roulettes. Many punters would prefer European roulette, as the odds are believed to be slightly higher with its 37 numbers and 0-36 betting layout. Here you can place inside and outside bets, and also track bets – just as other software providers would offer. There are also many players who would choose American roulette with its 38 numbers and 00-36 betting layout. The features of RealTime Gaming roulette are standard and traditional, though the design is very attractive and functional, with a lot of attention paid to the details important for your perfect experience. One more perfect addition is French Roulette. Basically, it is still the same European game, but with a slightly different betting system and ‘La Partage’ rule (at certain circumstances allowing you to lose only half of your bet), to further bring the house advantage down to 1.35% for even-money bets. Besides, French roulette design does evoke a certain feeling of playing in Monte-Carlo. All this has contributed to the recent growth of popularity. Another interesting variation RTG provides is Multiplayer Roulette. The name is self-explanatory. Based on the same French roulette rules, you could see what other players are doing, and adjust your own strategy accordingly. You can also chat with other online players, as if you all have traveled to Monte-Carlo already and gathered around one table! The gamblers can use an avatar and pick an alias before choosing at which virtual table to play as there are open, private and reserved tables. Other important differences across the tables are betting limits (usually from $1 to $100, but for high rollers up to $500) and maximum time set for placing your bets (from 30 to 90 seconds). Taking this all into account, each player can take the time to make the right choice before even taking their virtual seat and enjoying the game, with all the exciting features and animations on display! 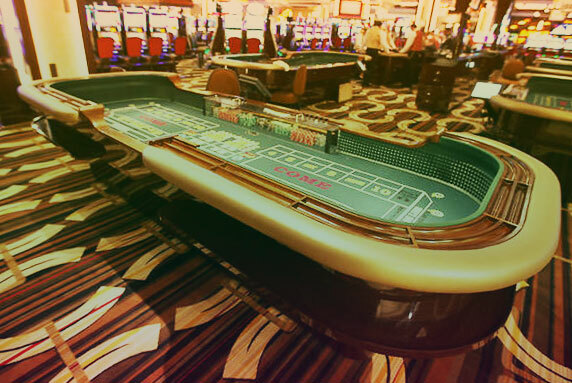 Baccarat is a very old game, whose origins remain unclear. 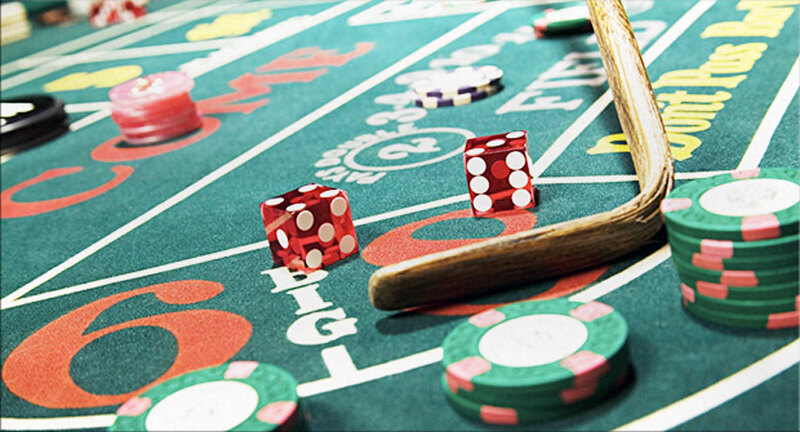 Having undergone many changes over the course of its long history, it has not only survived but even enjoyed a fresh burst of popularity in the era of online gambling! And while nowadays, many software suppliers tend to furnish the game with bells and whistles, RTG’s approach, which is certainly appreciated by many players, is different: to let the players just enjoy, rather than distracting their attention with unnecessary interface details. A convenient and useful history tab is placed on the left-hand side, where you can see the results of the previous 22 hands. The 9-1 payout for a tie is an improvement RTG have introduced, which is different from the usual 8-1 payout that most online baccarat software providers offer. And in this popular (and pleasingly authentic) game, there are no distracting graphics or side bets. RTG’s table games have never been considered the strongest suit of this particular company’s portfolio. RTG has never taken the approach of simply trying to offer the highest number of table games they possibly can. However, a wisely chosen ‘specialty approach’ to the development and introduction has already made many of RTG’s table casino games really distinctive, special, recognizable, and indeed, loved by many punters.